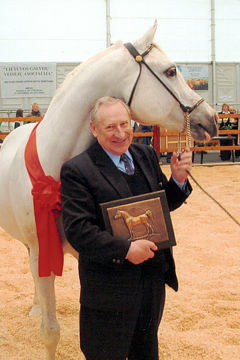 During the month of March 1976, the World Arabian Horse Organization appointed an Investigation and Inspection Committee for the purpose of examining the pedigrees and horses of the Soviet Union. 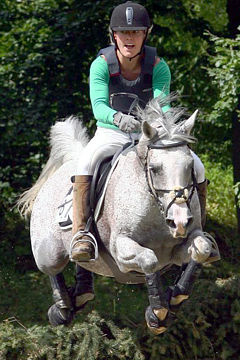 It was during this examination that the stallion Sharkasi was first brought to the attention of WAHO for purebred determination. 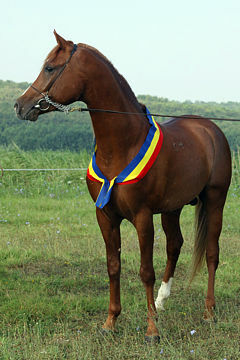 After considering all of the evidence presented by the authorities of the Soviet Union, it was the opinion of the Examining Committee, and later sustained by the Executive Committee of WAHO, that the evidence presented was not sufficient to determine that Sharkasi was a purebred Arabian horse. The Executive Committee met in London immediately following the examination of the Soviet Union and the Sharkasi matter was openly and objectively discussed. 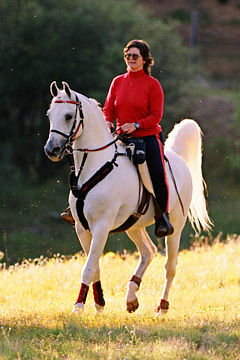 Dr. Marsafi of Egypt was in attendance at that meeting and was advised of the findings of WAHO regarding the stallion Sharkasi. He immediately notified WAHO of his activities and requested a further investigation in Cairo where the best information on Sharkasi could be obtained. 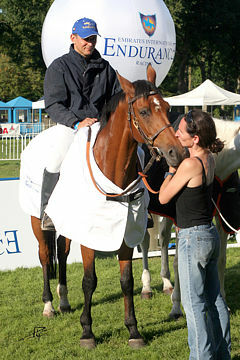 2) Sometime following his racing career he was sold to Mr. T.G.B. Trouncer. 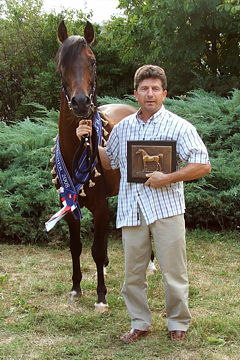 Mr. Trouncer had moved to Egypt from Scotland was actively engaged in the breeding of purebred Arabian horses. Mr. Trouncer made an extensive investigation and proved that Sharkasi was bred by a man in Upper Egypt. 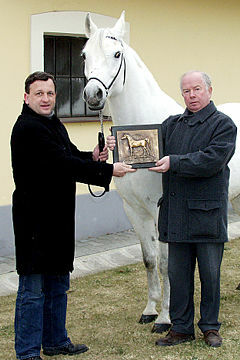 His sire was one of the Alzabra Stud distributed to villages to cover the mares of farmers. 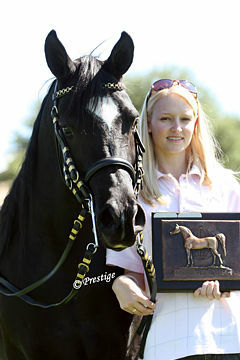 His dam was also by an Alzabra stallion and out of a Bedouin mare. 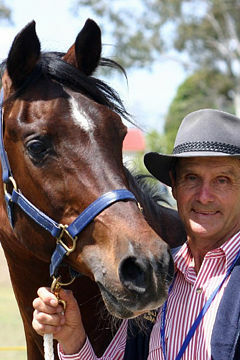 The owner of Sharkasi had died and his sons confirmed this information, but did not know the names of the horses involved. It was quite natural for this type of farmer to show no interest in keeping covering receipts or for record keeping. 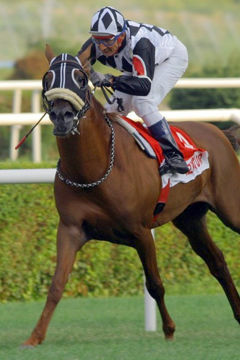 Mr. Trouncer was not married and upon his death in 1955 a liquidation sale of his “Sheikh Sudan” Stud was conducted. 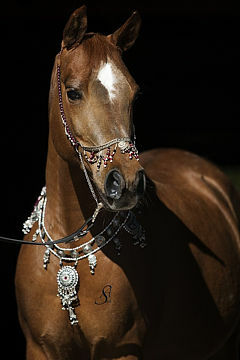 A copy of the actual sale catalogue is in the possession of the World Arabian Horse Organization . 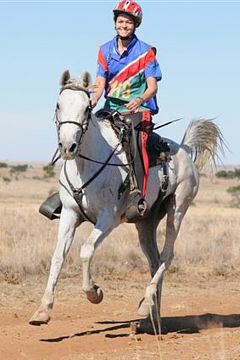 This catalogue listed 22 Lots and featured the stallion Sharkasi. 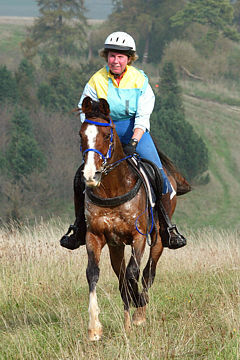 As Sharkasi was a famous horse by this time, the EAO purchased him for their own breeding program. 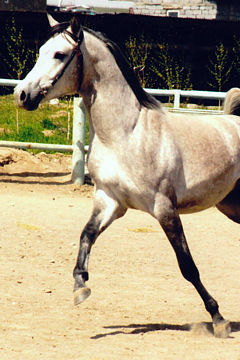 Sharkasi’s progeny and the brood mares liquidated in that sale were purchased by Egyptians other than the EAO. Their whereabouts was not a part of this examination and no effort was made to determine their final disposition. 3. 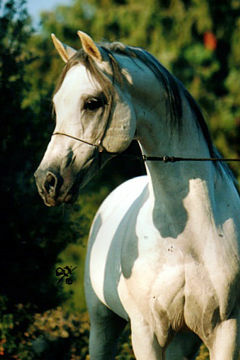 In the book entitled The Arabian Horse Breeders in America, written by Dr. Ameen Baher, there is a paragraph on p. 56 that states: “20 miles from Cairo in the desert at Khankah lived a Scotsman named Trouncer who abandoned the colder weather of Scotland and looked after his Arabian horses in Egypt. 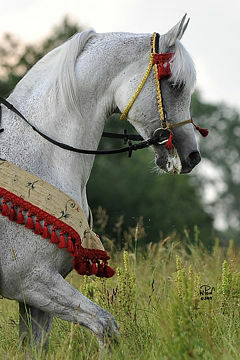 There he spent his days with the descendants of the studs of Prince Kamal el Din and Prince Mohammed Ali, all of his horses were purebred Arabians of noted quality. 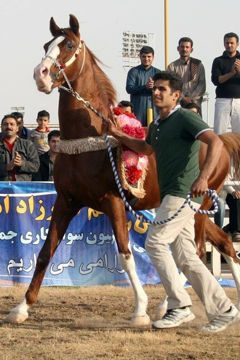 A real horse lover, he spent much money maintain and improving the Arabian horse. 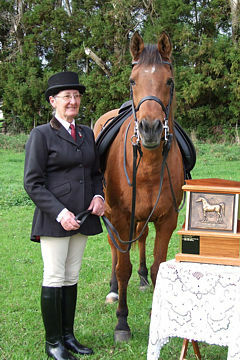 A few years ago Mr. Trouncer died and with the dispersal of his horses as a result. 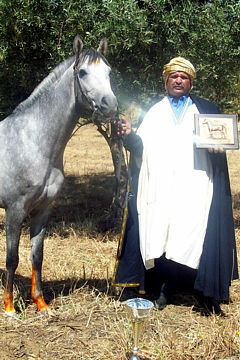 Few breeders procured some of them but unfortunately Egypt lost a good horse man and a real faithful enthusiast for the Arabian horse. 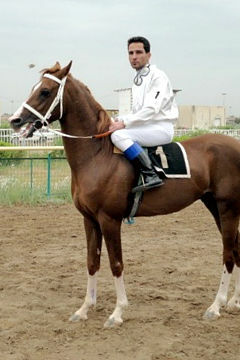 The Egyptian Agricultural Organization was among the buyers in a big auction sale held at his stud farm.” (this is when they bought Sharkasi). 4) After the purchase of Sharkasi, the EAO embarked on a 3 generation progeny testing program. 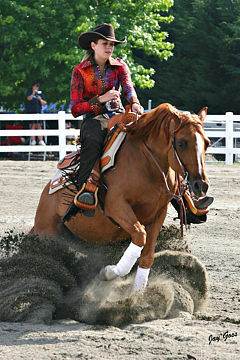 This procedure was consistent with EAO’s breeding history. The testing results proved very satisfactory, but Sharkasi died in 1966 before he could be put to extensive use. 5) During the month of June 1976, the EAO was in possession of approximately 13 derivatives of Sharkasi. 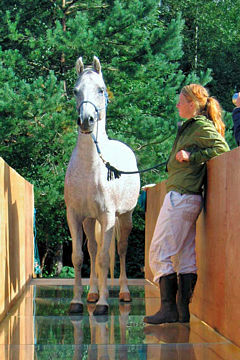 At least five more were an integral part of the breeding program of one of the EAO’s accepted and supervised studs. It was of special significance to the Executive Committee of WAHO that the acquisition of Sharkasi with an unknown of “DB” background took place at a time when present day economies did not exist and could not have affected the decision. 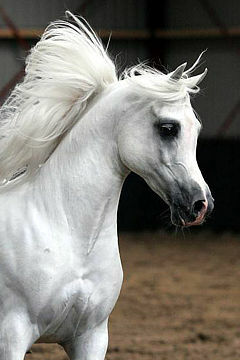 It also took place when other horses were acquired from the desert, horses whose pedigrees were equally vague. 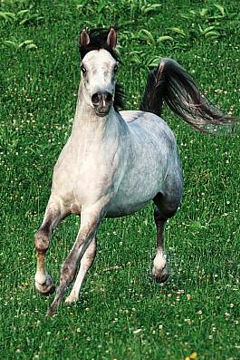 Some of the other horses found their way into the King’s INSHASS Stud during the year of 1945 and their progeny eventually was distributed throughout the world, including the United States. 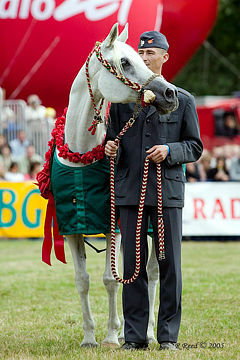 The examination of the Soviet Union’s Arabian horses was tedious and time-taking. The WAHO Executive Committee was two years in preparation, working with their I & I Committee, prior to the actual examination. 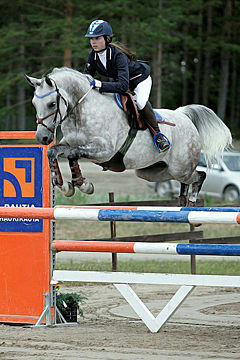 It is the opinion of the Executive Committee that if all of the information regarding Sharkasi had been available at the time of the actual Russian examination, his purebred status would not have been questioned. 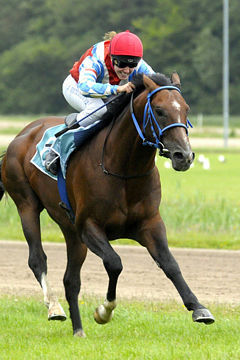 The difficulty and expense involved in tracing horses to their original source (many ending up with “unknown” or “DB” pedigrees) reaffirms the wisdom of the Malmo definition. The Sharkasi matter has made the Executive Committee more determined than ever to work toward each Member’s acceptance of that Definition. 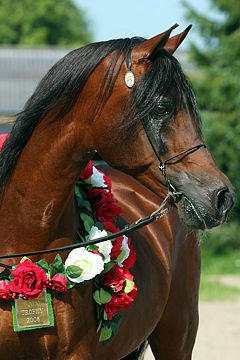 In summary, after reviewing this new evidence, the Executive Committee of WAHO has voted to accept the stallion Sharkasi as a purebred Arabian stallion. 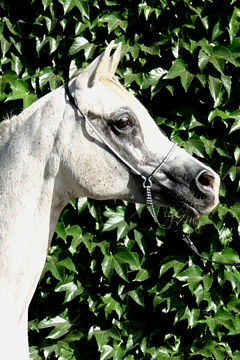 His progeny from purebred Arabian mares are also to be considered as purebreds and equal with all other purebred Arabian horses known to WAHO. The Executive Committee considers that the benefits of strict adherence to the Malmo Definition are hereby amply confirmed.